When the City of Hobart school district in Hobart, Indiana, made plans to build an expansive new high-tech high school, one of the strongest focal points was having energy-efficient mechanical systems. School City of Hobart hired Envoy, Inc., of Indianapolis, as construction manager and Gibraltar Design, Inc., an Indianapolis-based, full-service architectural, engineering and design firm, to design and build an efficient new school with high-tech features to prepare students for the world of tomorrow. When it came to the HVAC portion of the project, Gibraltar Design's specifications included a variable air volume (VAV) distribution system for Hobart High School's classrooms, with fan-powered boxes and terminal reheat. For the large gathering areas, Gibraltar's design called for constant air volume distribution systems. The building's cooling system is a water-cooled centrifugal chiller, and the school will be heated with high-efficiency condensing boilers. The duct system consists of about 200,000 square feet of galvanized steel ductwork. To provide added thermal efficiency to the ductwork, Gibraltar Design specified duct wrap for the HVAC design. With the recommendation of Coleman Insulation Company of Chesterton, Indiana, the project's mechanical insulation contractor, Gibraltar Design selected CertainTeed SoftTouch™ Duct Wrap, a resilient fiberglass blanket insulation applied to the exterior of sheet metal ductwork to seal potential leaks, preventing loss of valuable heated or cooled air. 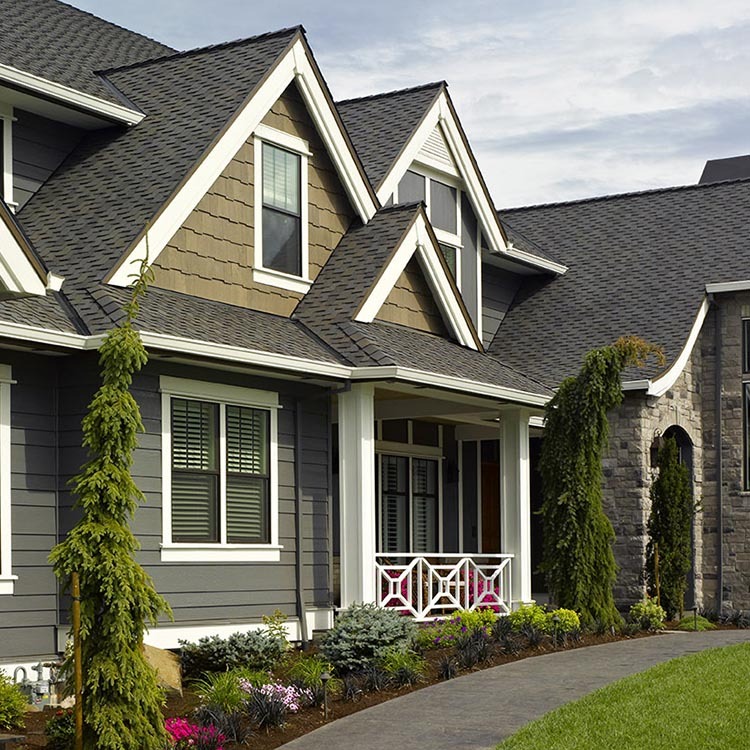 "We were looking for a good-quality, energy-efficient duct wrap that could be installed at a lower cost and the CertainTeed product met all of our criteria," says Craig Carlson, Project Engineer for Gibraltar Design. Envoy hired Correct Construction of Portage, Indiana, as mechanical contractor and Morris Sheet Metal of Fort Wayne, Indiana, to fabricate and install the ductwork. Morris Sheet Metal began work in December 2006 fabricating internally insulated sheet metal ducts of varying sizes. For the larger gathering areas, such as the auditorium, great hall, gymnasium and field house, the contractor made large, round ducts ranging from 20 to 48 inches in diameter. For the rest of the school, they fabricated rectangular ducts in sizes from 8 inch x 6 inch to 96 inch x 24 inch. As the new ducts were produced, Morris Sheet Metal and a crew of eight began installing them throughout the school building. They hung the larger ductwork with trapeze hangers, made from all-thread rod and angle iron. They hung the smaller ducts with 1-inch metal straps. The contractor's biggest challenge came when hanging ductwork in the auditorium, which has sloped floors and a 40-foot structure above. To reach the structure, the crew used tall scissor lifts, but the sloped floors presented a difficulty, placing them at awkward angles during duct installation. The crew was able to overcome this obstacle, however, by using ramps. "We had solid wood ramps built for the scissor lifts," says Curt Keley, Project Manager for Morris Sheet Metal. "Every time we wanted to move to another spot, we had to drive off the ramp, reposition it, drive back on it and load the lift up with another piece of duct and take it up to the structure above. This helped us to go straight up, instead of at an angle." Coleman Insulation Company followed the Morris Sheet Metal crew, installing SoftTouch Duct Wrap over the ductwork. 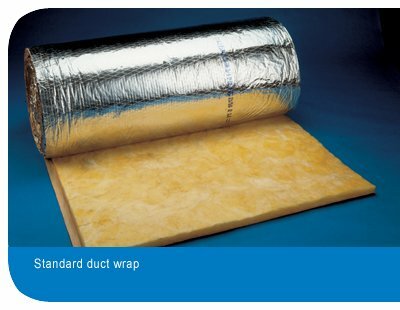 Having used the duct wrap product on previous projects, the Coleman Insulation crew finds it easier to work with than other duct wraps. 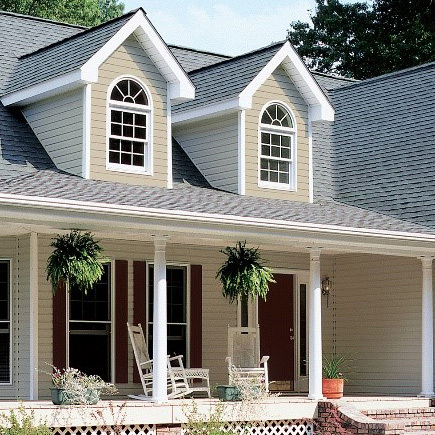 "SoftTouch has a higher density than other duct wrap products we've worked with, and it's more durable and flexible," says Rich Coleman, General Foreman for Coleman Insulation. 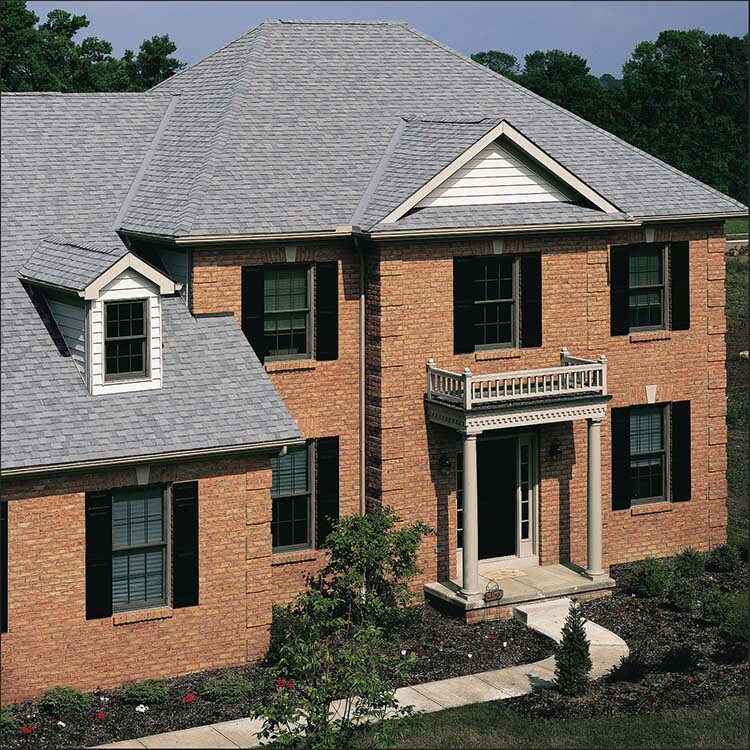 "It holds up really well around the corners, and I like its FSK facing. I think it makes for a nice-looking project." The HVAC portion of the Hobart High School construction project is expected to be complete in July, and the school is scheduled to open for classes in January 2009. So far, the school has received positive reviews. "We're very pleased with how the school is turning out," Carlson says. "We've got some very good contractors working on the project." The new Hobart High School will hold 1,400 students, with room to grow to the east and west of the building. The building is 331,750 square feet and sits on 84 acres of land. Some of the school's standout amenities include a 650-seat auditorium with modern acoustics and sound system; a new football stadium; a 10,000 square-foot media center with a coffee bar for students and a professional library for teachers; PCs or laptop computers in every classroom; wireless Internet; and several other technological features. 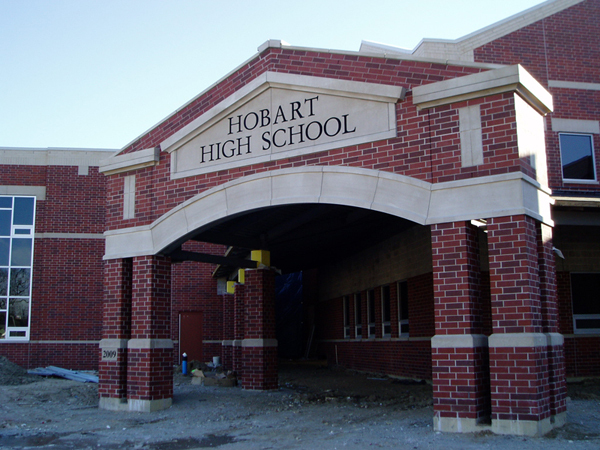 Students will continue to attend the existing Hobart High School facility until the completion of the Fall 2008 semester.